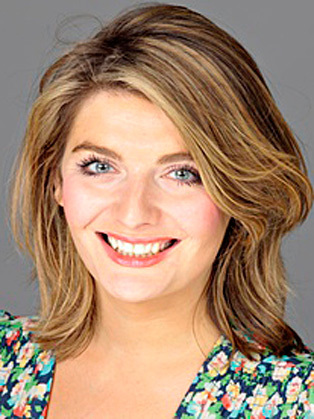 Bryony Gordon is one of The Telegraph's best loved journalists columnist and features writer. Bryony's first book The Wrong Knickers was published by Headline in 2014. It became a Sunday Times bestseller staying in the chart for 6x weeks in 2015. Film rights have also been sold.Her next book MAD GIRL was published to critical acclaim in 2016 and also became a Sunday Times Bestseller. Much of Bryony's work is focused on her own experience of suffering from mental illnesses. Bryony regularly writes about mental health for The Telegraph. Bryony published her first book in 2014 titled: The Wrong Knickers: A Decade of Chaos, a memoir of “hedonistic antics” during her single life, a “lost decade” of drinks, drugs and promiscuity. Bryony's second book Mad Girl depicts what it is like living with OCD, bulimia and depression with her trademark humour, warmth and eye watering honesty. She has 25k Twitter followers and her journalism has a regular circulation of 480k.